choosing a holiday card with artifact uprising. – Reading My Tea Leaves – Slow, simple, sustainable living. choosing a holiday card with artifact uprising. For the past several years, we’ve sent Artifact Uprising holiday photo cards. This season, Artifact Uprising has more than eighty original holiday cards for families to choose from and they invited me to try out a few of their different designs to see what I’d like best. I’ve narrowed my list of favorites down to four, and would love to hear which one you guys love best. + Choose a cozy spot. Silas is very eager to be walking, but not so great at standing still (or safely) for long periods of time. We needed a soft surface where these guys could pose for an easy shot without enduring too much parental art direction. + Pick a simple backdrop. Doesn’t matter if it’s a vintage headboard or a plain white wall, if you’re not a professional (and even if you are), you’ll have an easier time of capturing a solid shot if there’s not too much competing for attention in the background. + Dress in comfy clothes. I’m the first to admit that festive holiday clothes look sweet on little guys, but here’s some encouragement to keep things relatively simple. Too many layers or accessories or starchy shirts and you’re bound to spend more time fussing with your subjects than capturing them on camera. Decide on a simple outfit and then don’t worry about perfecting the details. We had falling overall straps, bunched up tights, and pulled off socks, but the kids were smiling, which is all that we were hoping for. + Take a million photos. Trust me when I say there were a whole lotta duds taken before I got these few card-worthy shots. Set that camera to the fastest shutter speed you’re able and snap away. Then hunt for the one or two diamonds in the rough. And now for the results… These were my four favorite card options. Which one do you guys like best? The designers at Artifact Uprising are masters of white space. I especially love their use of it in the Joy Multi-Image Card. It features three good-sized images without being too crowded. What do you think? 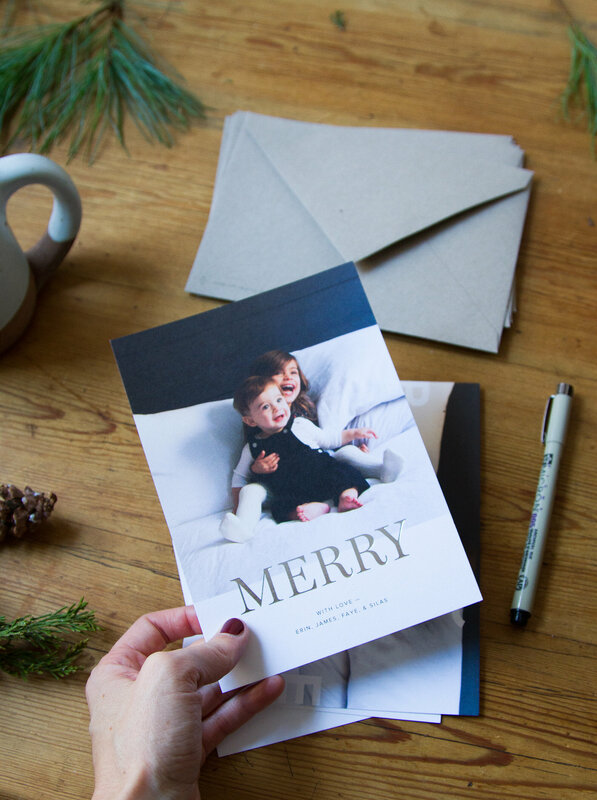 For folks wanting something with a little extra sparkle, the Foil-Stamped Merry Card offers a bit of shimmer without being overdone. Foil options include gold, copper, and silver (shown here!). I love the super simple message on this one. Anyone else? I love using carol lyrics on my holiday cards and Joy to the World is one of my very favorites. This card isn’t foil stamped, but the graphic text still pops. Pretty, isn’t it? My personal favorite for two years running now is the Peace Holiday Card. We used this one with a photo of Faye last year and I’d love to switch things up this time around, but I also love the sweetness and the full-bleed image. Which one do you guys like best? I’ll follow up next week with the design I settle on, but I’d love to hear your thoughts! In case you’d like to know more about Artifact Uprising, their cards are printed on 100% recycled card stock. Their default envelope option is my very favorite recycled kraft paper, but for an extra 15 cents, customers can choose white or gray options as well. Cards start at $1.25 per card and can be purchased in sets from 10 – 300 (in increments of 10 and 25 cards). Also brand new this season? 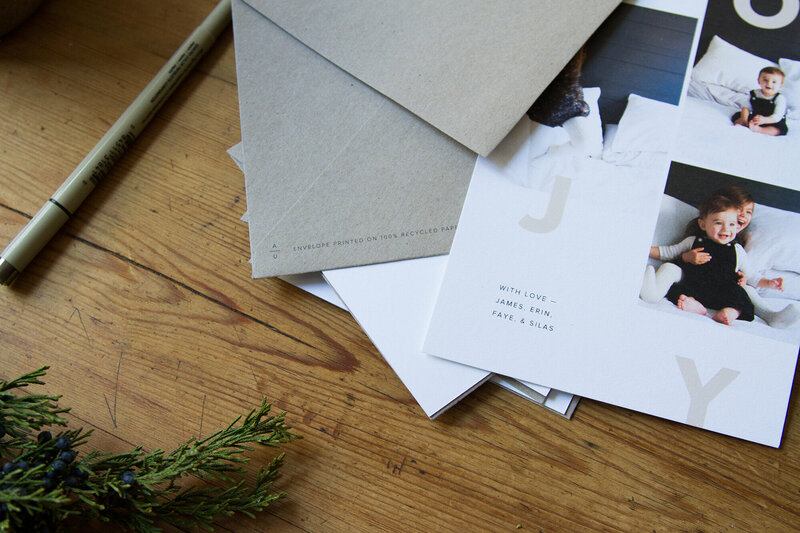 An envelope addressing service. If the time commitment of sending cards means that you put it off entirely, perhaps outsourcing the addressing portion of it could convince you? I, for one, am extremely pumped to hand off that task to someone else. If you’d like to place a holiday card order of your own, Artifact Uprising is offering Reading My Tea Leaves readers a 20% discount on all orders with the code RMTL20. Offer ends December 5, 2017. This post is sponsored by Artifact Uprising. All opinions are my own. Thanks for supporting the brands that support Reading My Tea Leaves. all good options but those kids? HEARTBREAK HOTEL! too cute! They are all so cute! 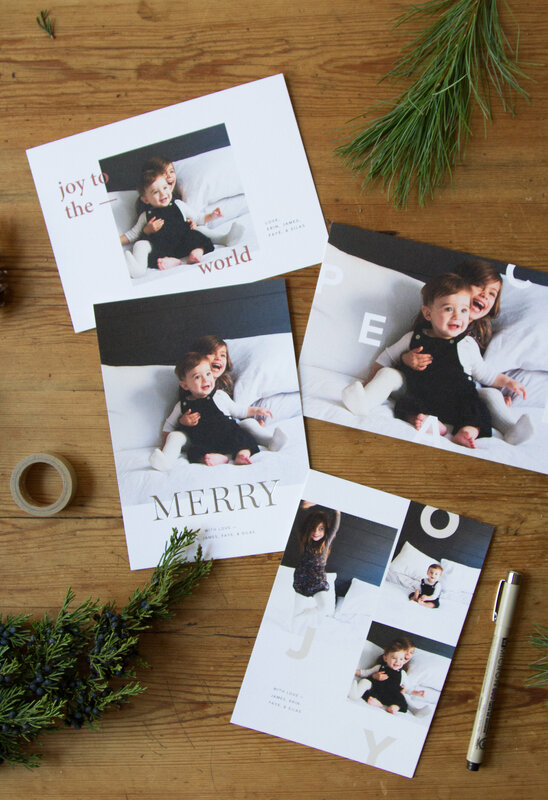 I would vote either the JOY or MERRY cards – I love the way they make your photos really shine. Merry Christmas!! I love the MERRY design best. 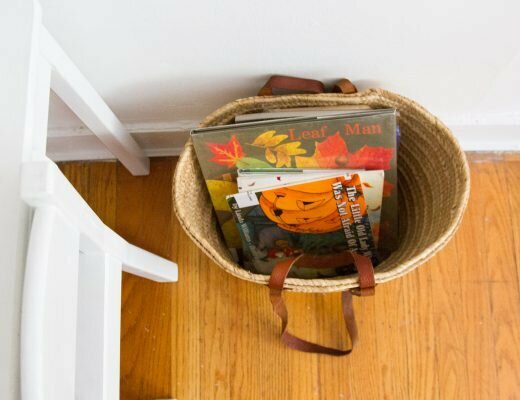 Simple and highlights those sweet kids! I love the JOY and the MERRY cards! The option of multiple photos is so wonderful, but I’m also always partial to Artifact Uprisings foil stamped cards. We did manage to decide on a non-foil stamped one this year to get the multiple photos thing though! So maybe that’s my final vote for you as well, haha! Your photos do look incredible, in both. Good luck deciding! I actually like the first collage of pics with the very simple greeting at the bottom- looks the most like ‘tea leaves’ to me. But all are just darling! That sounds lovely! One year I made photo cards from a photograph of icicles I’d taken! 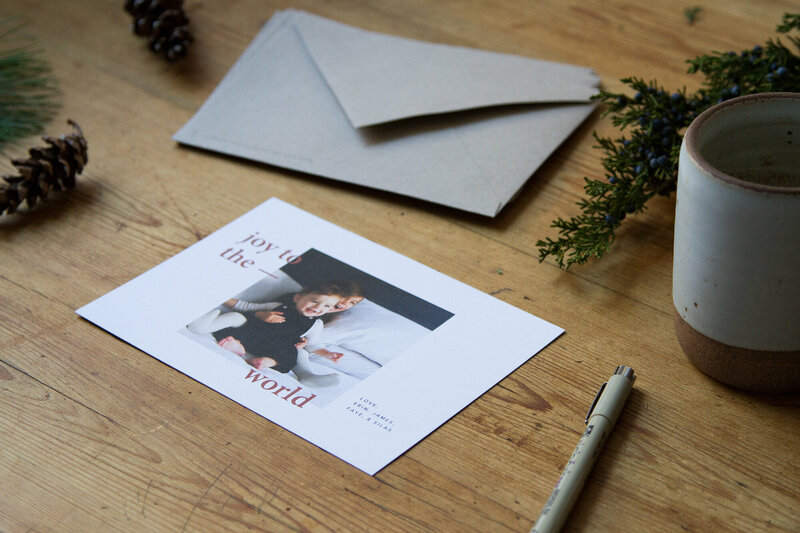 I’m so partial to the Joy to the World card, which is what our little family is going with this year! Merry and Joy are my favorites! Thanks for the tips. I always break a sweat trying to take Christmas card pictures! I still love the Peace one best. I love the first or last option!! They are so great. Team Joy! Thank you for the promo code. I love Artifact Uprising for cards and calendars. Such good quality! Another vote for Merry, although your family and friends will be delighted to receive ANY one of those cards!! Erin, maybe a silly question: is the discount for cards only, or good for any Artifact Uprising purchase? Thank you and can’t wait to see what you chose. I think it’s just for the cards! Will double-check! Ah loving these cards! Also wanted to check in and see if you were able to find out if the discount was just for the cards or any product? Checking! I think cards-only, but waiting on confirmation! Sorry for the delay here! 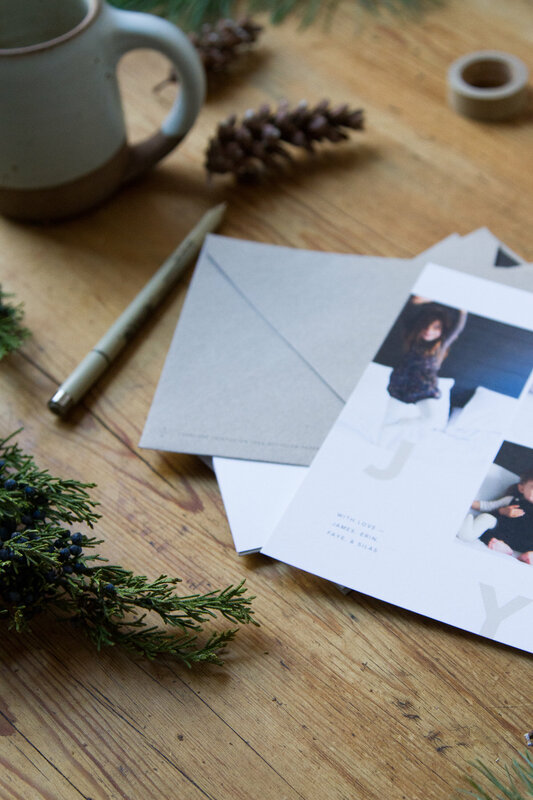 Discount good on holiday cards only (through tomorrow)! 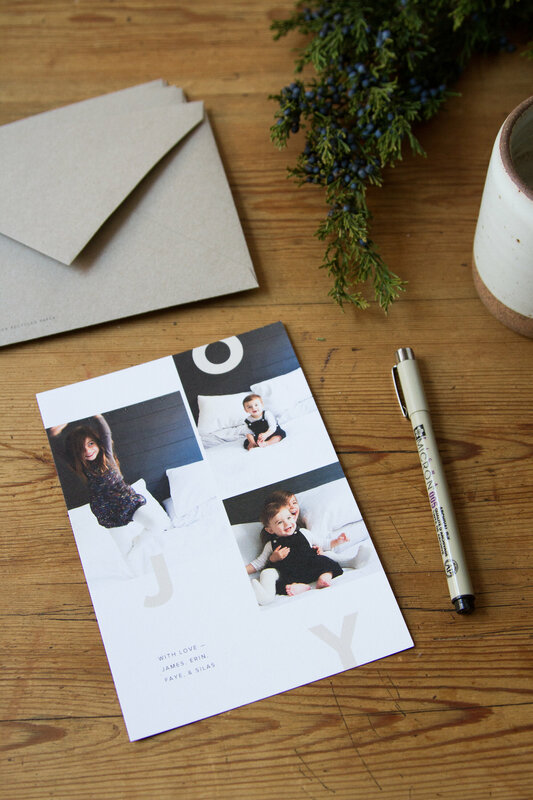 i love the JOY card with the three photos – i like that we get to see each of your littles on their own and then the very sweet one of them together. happy and merry and bright december to you! 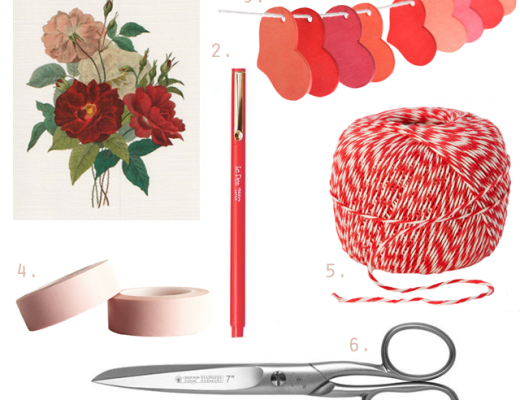 I love Joy, but you really can’t go wrong with any of these beautiful designs! Thank you Erin for the promo and for continuing to bring joy to all of your readers! The Joy card with the dance moves is my favorite. I like Merry the best! Such sweet babies! I love the Joy card the best, but Merry is a very close second! 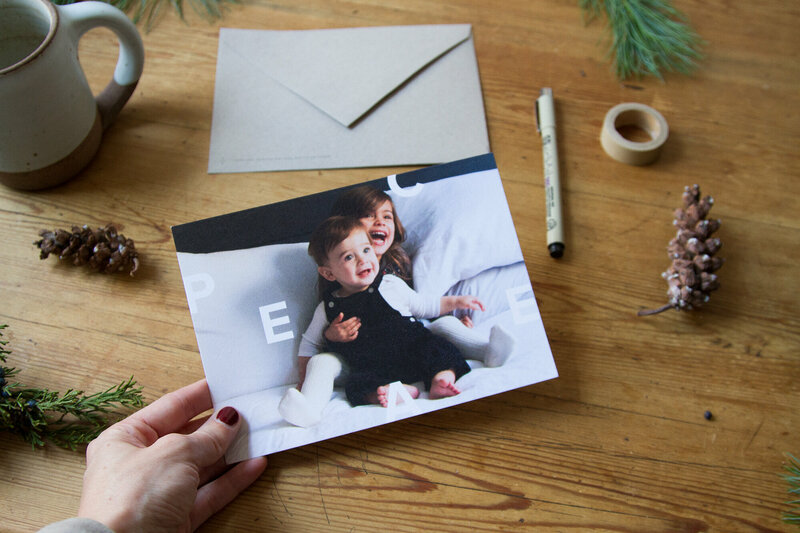 Also, just an aside, it always intrigues me how many Americans make and send out holiday cards featuring family photos. In NZ we’re far more likely to buy a pack or two of cards and envelopes, or make a few special cards to send to family. My Nana used to spend half the year cross-stitching hers and they have been kept by everyone who received one. I think the Merry one looks the best, but all of them are lovely! All gorgeous, but I would definitely go with the first Joy one just because that photo of Faye is ADORABLE! I really like the “Merry” one, because your kids look so merry! Also, the picture is simple and clean. All four are winners in our book because of those sweet kiddos. Endlessly a fan of yours, Erin! So happy we could come together on this! Gorgeous picture! You’ve inspired me to not try to take our pictures in front of the tree, too! Hi Erin! Does the Promo Code only work on cards? Or does it work on their other products? Thank you! Lovely as always. Faye looks just like pictures of my Aunt Mary as a little girl. MERRY is the stand out! In my opinion, the “Joy to the World” card is especially lovely. I think it best captures the children’s exuberance! I vote for Joy or Peace – but your models definitely make it a hard choice. We used Paper Culture this year, they plant a tree for every purchase and you can donate the tree to someone. Also 100% recycled paper. Maybe next year we will look into Artifact Uprising!